Gorgeous shot of newlwed Camila Alves and her two children, daughter Vida, 2, and son Levi – who turns 4 on July 7 – in New York on Thursday. One word. Cute. Well, two, make it three words: Sweetest. Picture. Today. Vanessa Lachey is due in September with a little boy, and as she gets closer to her due date, the first time mommy-to-be is looking fabulously chic and very happy! The Wipeout host was spotted out and about this week at the Bellacures nail salon in L.A.'s Studio City area, where she relaxed while getting a gelicure. It was picture day recently for the Gwen Stefani and Gavin Rossdale household.The couple posed for a family picture with their two sons, Kingston, 6, and Zuma, 3½ when they all stepped out together to attend the opening of L.A.'s Exposure 2 Photo Exhibit on Thursday. Looks like Kingston would rather be elsewhere than in front of the cameras, though! Homeward Bound! Denise Richards and Daughters Back in L.A.
Denise Richards and two of her daughters, Lola 7, and Sam, 8, are all smiles as they arrive back home in L.A. after spending time on the East Coast promoting Richards' latest movie, Madea's Witness Protection. The girls' father and Richard's ex-husband, Charlie Sheen, 46, accompanied the trio on their trip. Mister Blue Eyes: Who is This Adorable Celebrity Tyke? Do you recognize those beautiful blue eyes on this adorable celeb tyke? Katie Holmes, Tom Cruise Divorcing, Adele Pregnant and Cute Baby Alerts This Week! Big news today is of course the Tom Cruise, Katie Homes divorce shocker! Of course, many will say this celebrity divorce is not shocking at all, but has been anticipated for some time. Divorce papers were filed by Katie on Thursday June 28, citing 'irreconcilable differences.' Holmes is also asking for sole legal custody and "primary residential custody" of the couple's 6-year-old daughter, Suri, according to TMZ.com, as well as a "suitable amount" of child support." Reps for Tom Cruise have issued a statement confirming that it was Holmes who filed for divorce and saying the Rock of Ages star is "deeply saddened." 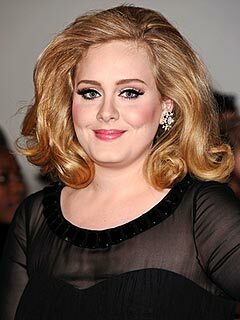 In baby bump news today, singer Adele has announced she and her boyfriend, Simon Konecki are expecting their first child together! Sending big congrats to the new mommy and daddy-to-be! Earlier this week Megan Fox and her hubby, Brian Austin Green, shared photos that made it official: Fox is indeed pregnant! Finally, a couple of cute baby alerts from this week! Check out smiling first time mommy, Hilary Duff and her adorable baby boy, Luca! 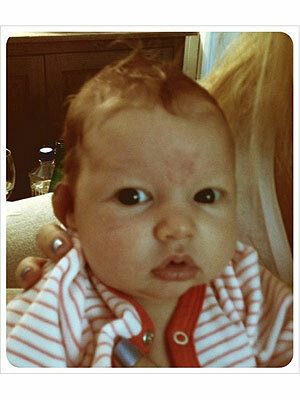 And new mom Jessica Simpson shared an adorable picture of her daughter, 8-week-old Maxwell Drew! 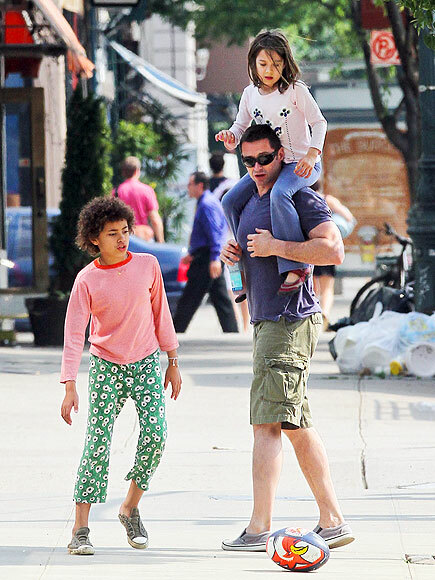 Hugh Jackman's kids - Ava, 6 and son Oscar, 12 - enjoyed a day out their famous dad in N.Y. (and a football) this past weekend, with Ava getting in a ride on her dad's shoulders. There is nothing quite like a bike ride at the beach with mom judging by that sweet smile on Willow's face! Pink took her just-turned-one daughter for a fun bike ride Sunday in Venice, California. They look like two very happy ladies- and we are totally loving Willow's flowered bike helmet! 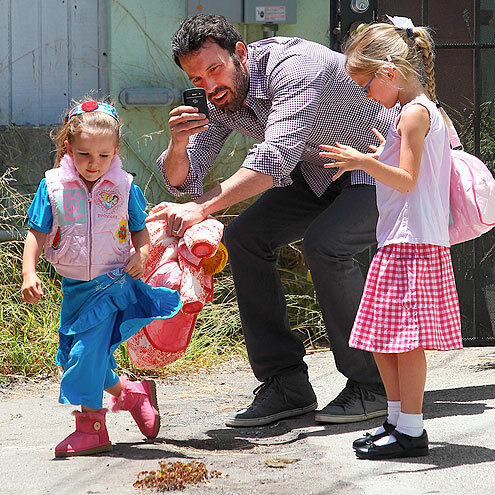 Ben Affleck may be gearing up for a fun Father's Day this weekend, but first the dad of 3 got some cute pictures of his two daughters, Seraphina, 3 and Violet, 6. This will be should be an extra-special Father's Day for the actor - it will be his first with new son, Samuel! Answered! Which Celeb Baby Is Taking His First Steps? Yesterday we asked if you knew who this adorable celeb baby is - he is hard at work getting the walking thing down! 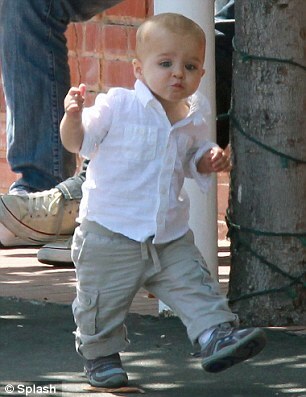 Answer: This too cute little guy is Selma Blair's Son, Arthur! Now who is having baby fever just looking at Arthur's face as he practices his walking technique?? She's a cutie! 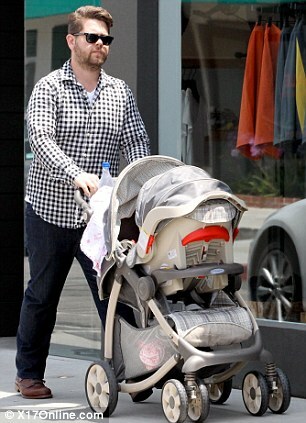 Jack Osbourne and fiance Lisa Stelly were spotted out and about in Malibu yesterday with their new baby daughter, Pearl. 'People say when you have a kid it's like instant love, but unless you've experienced it, it's impossible to comprehend. The couple welcomed Pearl on April 24. It's Official: Camila Alves Becomes Camila McConaughey! It's official! Camila Alves is now Camila McConaughey. The actress, 29, married her long time beau, Matthew McConaughey, 42, on Saturday in a small private ceremony in Texas. The couple have been together for six years, and have two children - Levi, who turns 4 next month, and daughter Vida, 2½. You have to give it to Snooki. The reality star is enjoying her first pregnancy her way - maternity outfits, high heels and all. Spotted out and about in New Jersey this past week, Snooki showed off her growing baby bump in a micro-mini shirt dress and platform wedges. The first time mom-to-be enjoyed a day out with her pal and co-star, Jenni 'JWoww' Farley. Which celebrity baby was spotted practicing his first baby steps recently? Can you guess who this cutie is? 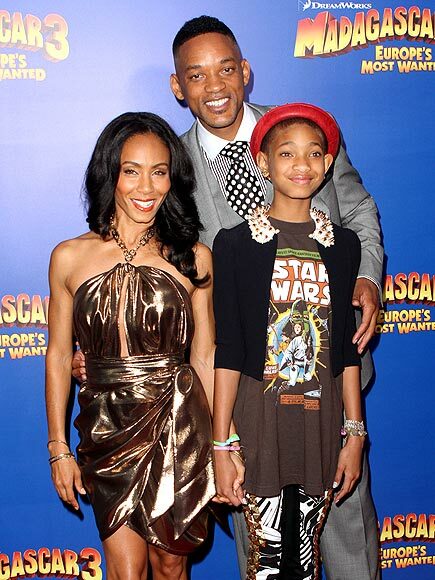 Jada Pinkett Smith brought two of her biggest fans - hubby Will Smith and daughter Willow- to the N.Y.C. premiere of her animated comedy Madagascar 3: Europe's Most Wanted, in theaters now. Is there a secret behind that happy smile Megan Fox is flashing at hubby Brian Austin Greene? The actress has not confirmed (or denied) the growing pregnancy rumors buzzing around the internet these days. And though it's certainly possible that there is a small bump under that layered t-shirt she is wearing, we have to say we really don't see one.